Finalists announced for 2018 Australian Sailing Awards. Off the back of another hugely successful sailing season in both Australia and around the world, athletes, clubs, officials and contributors will be honoured at the 2018 Australian Sailing Awards and Hall of Fame Induction dinner at the Doltone House on Friday 19 October. Today, the finalists were announced across the twelve categories with the winners to be announced on the night. Some of the most decorated world sailors are amongst this year’s nominees, along with some outstanding contributors from clubs across the country. There were a record number of nominations for the 2018 Female Sailor of the Year, with 49er team, Natasha Bryant and Annie Wilmot again nominated after a stellar year as part of the Australian Sailing Team. 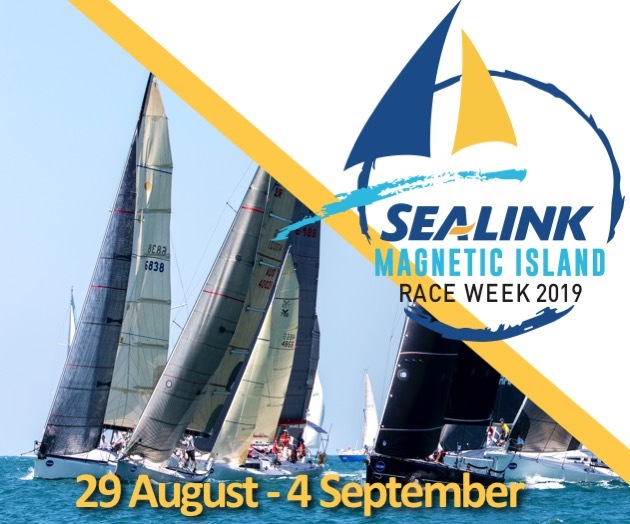 They will face competition from fellow 470 Australian representatives Nia Jerwood and Monique de Vries and Nacra 17 sailors Lisa Darmanin and Haylee Outteridge. In addition, the first female to ever win an ocean race, Wendy Tuck who won the Clipper Round the World Race is also nominated. 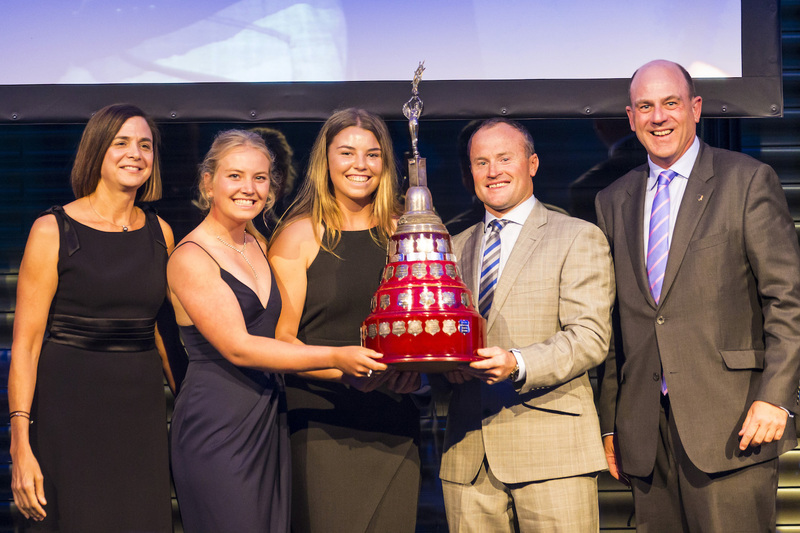 Australian Sailing Vice President Sarah Kenny, 2017 Female Sailors of the Year Natasha Bryant and Annie Wilmot, 2017 Male Sailor of the Year Glenn Ashby and Australian Sailing President, Matt Allen. Last year’s Male Sailor of the Year award winner, Glen Ashby, has again been nominated for the award. The America’s Cup sailor will face tough competition from Australian Sailing Team members Nathan Outteridge and Matt Wearn, World Match Racing champion Harry Price and renowned ocean sailor Matt Allen. The para-sailing scene has been big across the world with Australians being front and centre of the action. Last year’s winner Matthew Bugg has been nominated again for his outstanding performance throughout the year. Bugg will face competition from Chelseann Osbone, Victorian 2.4m champion Neil Patterson, HANSA 303 world champion Chris Symonds and offshore sailor Walter Philippe. This year the awards will also feature the Offshore Sailor of the Year Award to recognise the amazing achievements of Australian sailors winning offshore racing events at home and around the world. Wendy Tuck’s efforts in winning the Clipper Round the World Race have seen her earn a nomination, along with Sophie Ciszek who was aboard the Volvo Ocean Race second place-getter MAPFRE. Matt Allen, who set race records whilst winning both the Rolex Sydney Hobart and Brisbane to Gladstone Races as well as posting wins in the IRC & ORC Australian Championships is also nominated with Melbourne to Osaka competitors Rupert Henry and Greg O’Shea rounding out the field. A hot field for the Youth Sailor of the Year Awards includes Laser Radial World Champion Zac Littlewood, 420 World Youth Championship silver medallist Otto Henry and Rome Featherstone, AST 49er skipper Natasha Bryant and Australian 420 champion, Cole Tapper. Finalists for the Sport Promotion Award are Beau Outteridge for his continued coverage of sailing in Australia and overseas, ORVC Media Team for their dedication to ocean racing, Andrea Francolini for his dedication to sailing photography, Nicole Douglass for her work in growing the presence of the sport through new technologies, Clare Alexander for her efforts in supporting and promoting women in sailing and Down Under Sail for their coverage of sailing both big and small as well as their ongoing youth sailing coverage. Finalists for the Sport Professional Award include Nick Hutton for his amazing work for the sport around his home State of Tasmania, Susan Ghent for her efforts in raising the profile of ocean racing in Western Australia, Jordan Reece for his successes as the Head Coach of the Cruising Yacht Club of Australia’s Youth Sailing Academy and finally Pam Scrivenor for her dedication building the CYCA’s Youth Sailing Academy to the successful program that it is today. Awards will also be given for the State nominated Coach of the Year, Official of the Year, Volunteer of the Year, Instructor of the Year and Club of the Year. The gala dinner will also feature the induction of five new inductees to the Australian Sailing Hall of Fame. The Hall of Fame is now in its second year, as it aims to celebrate the sport’s history and to celebrate those who have brought so much to sport.